LCFF is thrilled to bring back our 4th Annual “Music in the Mini Park”. 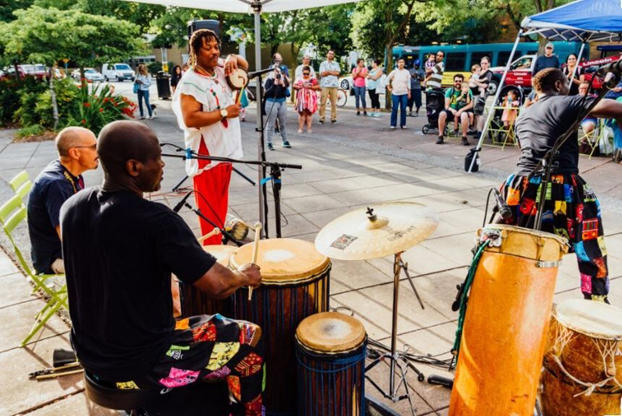 This series funded in part through the City’s “Put Arts in the Park” initiative continues to attract great music and performers. While the venue may be a challenge, it is always inspiring to see people come out for these free concerts and watch as thousands of commuters realize that “Something is happening in Lake City”. Our sound wizard, Monica Sweet will be back in action and a big thank you to the Lake City Arts and Culture Committee member, Debbie Palmer, for creating the line-up. Don’t miss it! Posted in Arts & Culture, Cultural Place-Making, FeatureTagged Free Concerts, Kids and Families, Lake City Mini Park, Music in the Mini Park, Office of Arts and Culture, Seattle Parks and Rec. 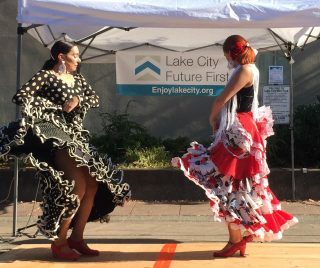 As part of the “Put Arts in the Park” grant initiative and our commitment to activate the 125th Lake City Mini Park, Lake City Future First will again facilitate 10 Music and Dance performances by different performing individuals or groups. Performances will be compensated $220. 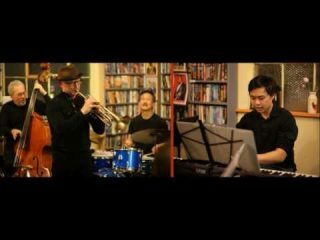 Join us this Wednesday, August 2nd for the Lance Lu Quartet. Lance Lu brings Latin, Bebop, modern and beyond to our series. Music starts at 6pm. See you there. With just two more Wednesday performances to go it has been a great season of music. On August 9th we wrap with Jessica Clipper. We were lucky enough to hear a little of what Jessica had to offer last year and this time we are showcasing her talent. Not to be missed. If you have not had the opportunity to come out for one of the awesome performances the past five Wednesdays… fear not! 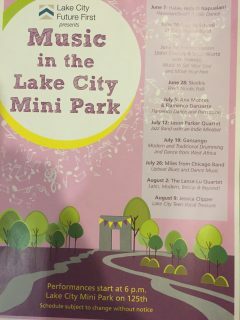 There are still five concerts left to go at the Lake City Mini Park. Music Starts at 6pm. July 12th we welcome the Jason Parker Quartet. Make sure you don’t miss this one. Weather should be great and the music promises to be fantastic. Also – mark your calendar for our next monthly Clean Up – July 16th. Meet at 30th Avenue NE and NE 143rd Street. 5-6 PM – We provide all you need to take part. 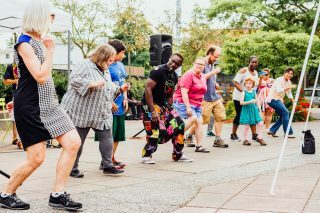 Performances are free to the public and we have a great line-up this year running for 10 weeks every Wednesday until August 9th.